Laval police are trying to identify a suspected thief. 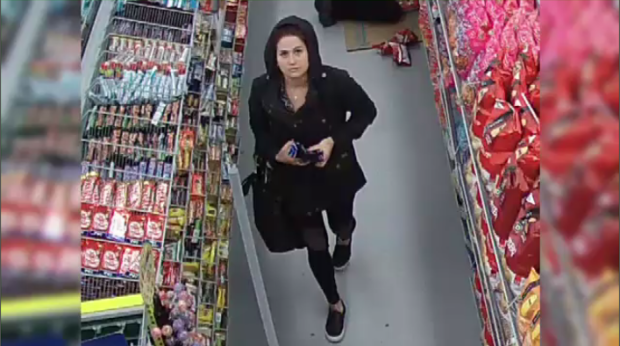 They say the woman in question was spotted shoplifting several items from a Dollarama in Chomedey last October. When a security guard tried to stop her, she pepper sprayed him in the face, then struck him several times. She also allegedly pepper sprayed another female shopper before fleeing in a vehicle. The suspect is a Caucasian woman, approximately 27 years old, and speaks with an accent. She stands 5’5, weighs 135 lbs, and has auburn hair and a facial piercing.